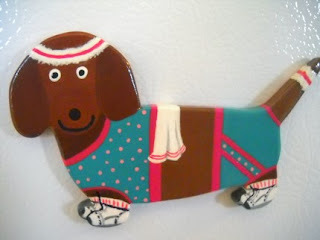 This is my latest dachshund dog magnet. Check out the tennies and stripe socks! I'm working on a ballerina doxie now, tutu and all! Summer Sale at our Etsy Shop!